Think of the last time you attended a conference and saw an all male panel of experts – or manels as they are called. It is most likely not too long ago. The website 500womenscientists.org is fighting this by making it easier for people across the world to network with female researchers in various fields. Numerous studies have shown that there is an over-representation of men in academic research. Even a cursory scan of university websites for researchers in administrative positions will tell you that these roles are held more often by men than by women – in part due to the glass ceiling in academia. While there are multiple factors leading to this observed gender gap, the under-representation of women itself creates more inequality. Some scholars believe that there are fewer relatable role models in STEM for young girls growing up since popular media often lays greater spotlight on male scientists, ignoring women. One of the key features of the website is its tool called “Request a Woman Scientist“, in which an interactive map allows journalists, conference organizers, and others to quickly get contact details of women scientists across various fields. 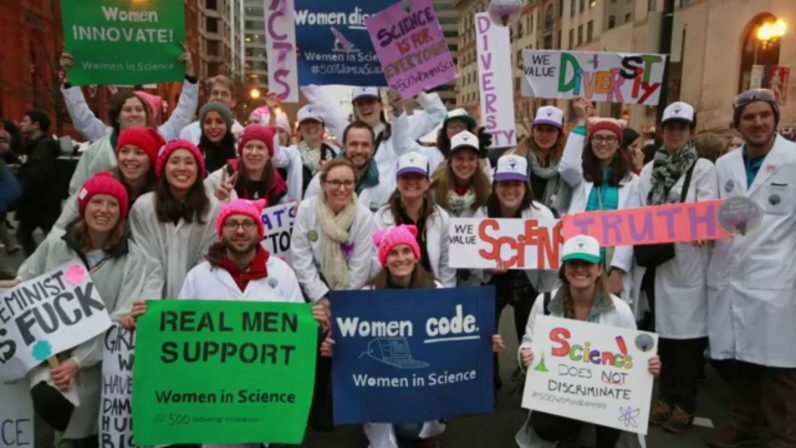 So far, more than 20,000 women of STEM and supporters from more than 100 countries have signed in support of the organization. They have pledged to make the scientific community more inclusive by training diverse groups of people to become future leaders in science, and to use science to enhance global diplomacy. The organization intends to create changes starting at the grassroots level. It has local chapters located around the world in which members meet frequently, develop support groups, and make strategic action plans. As a journalist, it is often challenging for me to quickly get in touch with researchers in various fields to get their expert opinions for ongoing news stories. 500womenscientists.org’s readily available database of contacts is a welcome note for both journalists and researchers who seek to communicate science. And personally, as someone always keen to publish thoroughly researched science stories, I cannot wait to network with the experts on the list.